We celebrate one of anime's greatest films! Some people are down with fluffy, cute anime with no substance or soul. But not us! 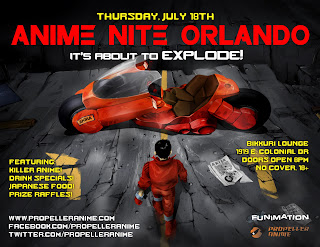 We show and celebrate REAL ANIME every month at Anime Nite Orlando! July will be no different! We have a very special showing this time! 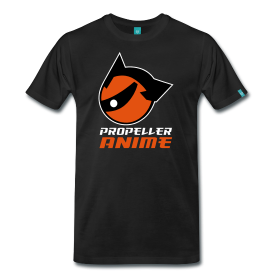 An essential classic that anyone who dare call themselves a fan of anime or science fiction... or even a geek! 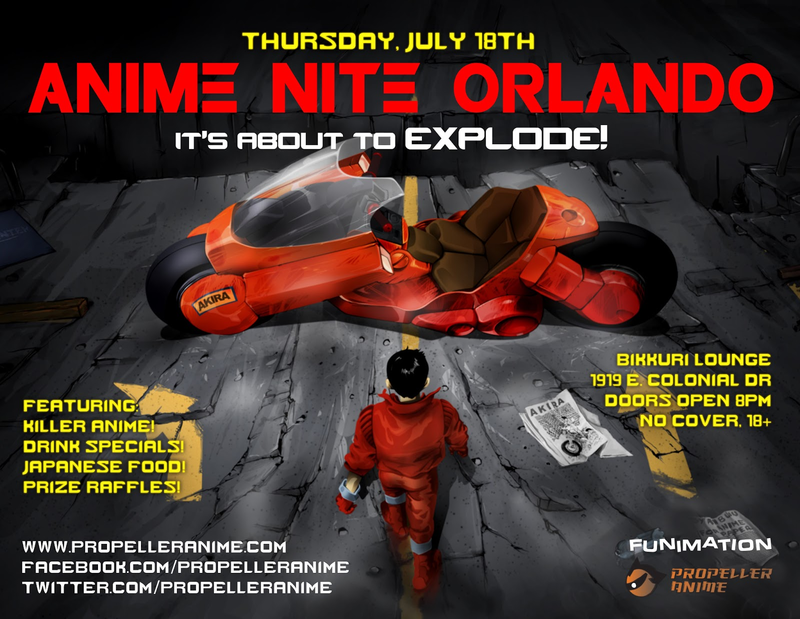 The Florida summer grows even hotter and we'll spend the night of Thursday, July 18th at Bikkuri Lounge celebrating the 25th anniversary of one of the most critical films of all time, AKIRA! This is a movie that still looks better than most anime, sounds better, and is extremely relevant to the state of the world as technology continues to advance and governments struggle to keep control. But that's not all! Last month's poll went well, so we will do that again. This time, we'll have a selection of sci-fi/cyberpunk anime that will be the opener for AKIRA. We have choices such as Ghost in the Shell Arise, Neo Tokyo, Cyber City Oedo, Dead Leaves, Dominion Tank Police, and Psycho-Pass. 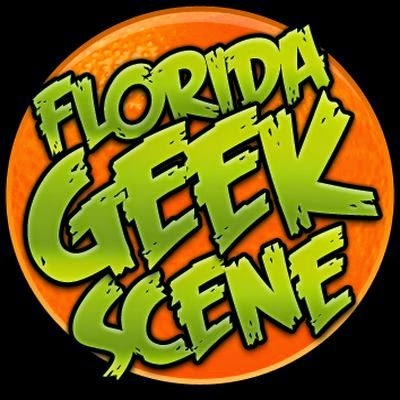 All great stuff, so please vote on our website poll by noon on Sunday, July 14th! On top of that, Bikkuri Lounge has the Japanese restaurant across the hall as well as drink specials such as 2 for 1 beers, $3 wells, and $5 Crown Royal and Three Olives. We'll have a prize raffle before we show AKIRA. This event is free and you must be 18+ with I.D. to enter. Bikkuri Lounge is located at 1919 E. Colonial Dr. Orlando, FL. Doors open at 8pm. RSVP on Facebook and see you July 18th!